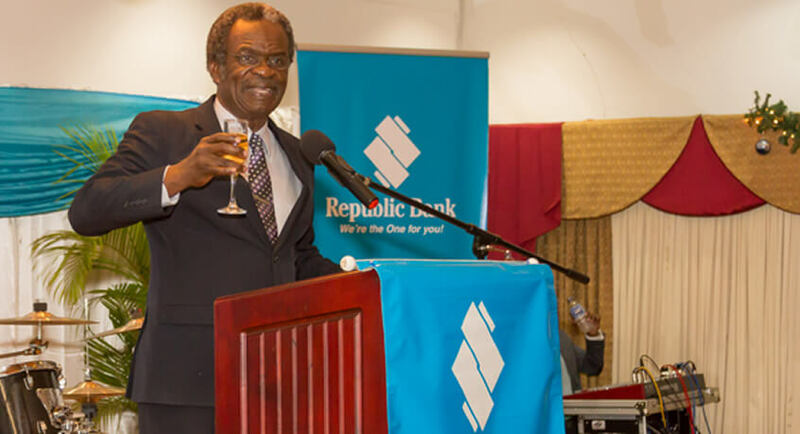 Store Bay, Tobago, December 5, 2014: Over the next five years, Republic Bank will contribute two million dollars (TT$2,000,000) toward corporate social responsibility efforts in Tobago. The Bank’s Managing Director, David Dulal-Whiteway, made the announcement, last Sunday (November 30), at a cocktail function in celebration of the Bank’s 100th anniversary of service to the people of Tobago. A thanksgiving mass was also offered that day, at St. Patrick’s Anglican Church, Mt. Pleasant, to commemorate the occasion. 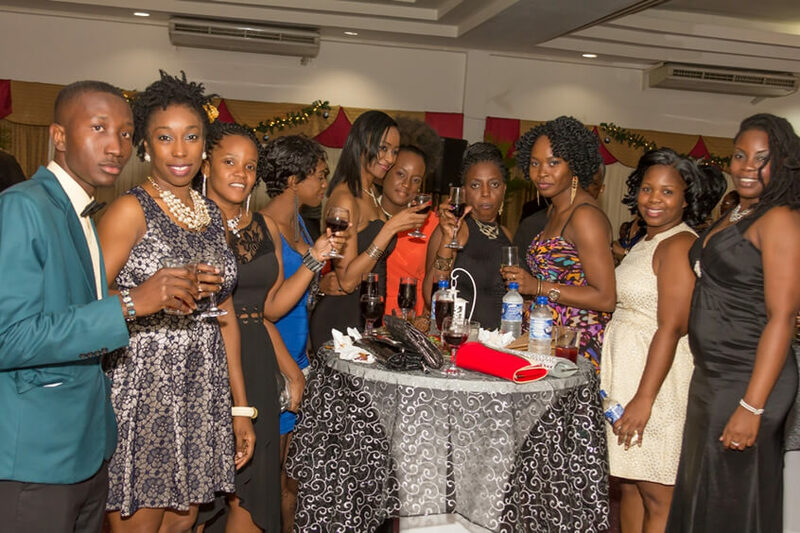 Expressions of pride and joy were etched on the faces of the corporate customers, diplomats, retirees and clients who attended the mass and cocktail function. During the function, which took place at Rovanel’s Resort, Dulal-Whiteway said, “Our ability to embrace change has contributed to our success as a financial institution”, adding that to date, the Bank has undergone many expansions on the sister isle, including its new Crown Point and Auchenskeoch locations. Taking the audience on a trip down memory lane, Dulal-Whiteway mentioned that the Bank opened in Scarborough in 1914, under the Colonial Bank’s name and that when the physical branch ceased business in 1924, banking business was continued on behalf of Colonial Bank by Miller’s Stores, on an agency basis. He went on to say that in 1950, when the Scarborough agency officially re-opened, it was stationed in a converted store, providing banking services for two days a week, with staff flying in from Trinidad to serve the public. Bringing greetings on behalf of the Tobago House of Assembly was Chief Secretary Orville London, who congratulated the Bank on its anniversary, while complimenting the staff on their excellent service to the people of Tobago. “I must express my heartfelt appreciation to you the members of staff, of all three locations of Republic Bank Limited. There is not a day when I visit the branch that I am not greeted with happy and healthy smiles. This is what customer service should be like,” he said. He added that 100 years as a Bank was a major success and thanked the Bank for investing in the lives of the people of Tobago. “We are confident that the Bank, the THA and the people of Tobago will continue to work together for the greater good and for a better quality of life for every citizen on the Island,” he said. 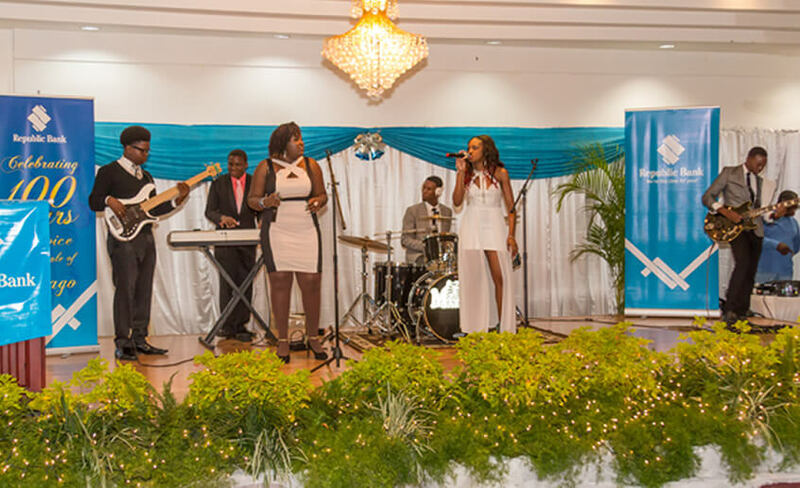 In celebration of the occasion, a toast was raised with the guests who were treated to a lovely evening, complete with entertainment by Matrix the Band. Republic Bank congratulates the staff of Tobago on achieving this milestone.